Eve is steady making her comeback in the music industry. The 'She Bad Bad' rapper has already enlisted Dawn Richard, Chrisette Michele, Snoop Dogg, Pusha T, and Juicy J for her fourth studio album 'Lip Lock'. This will be Eve's first album in over a decade and she also recently announced that she'll be featuring rap queens Lil Kim and Missy Elliott on a track for the album as well. 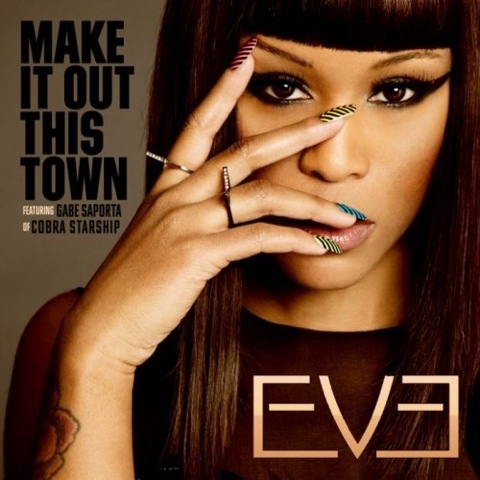 'Make It Out This Town' which she recently shot a video for, features Gabe Saporta who is one fifth of the American dance-pop group Cobra Starship.